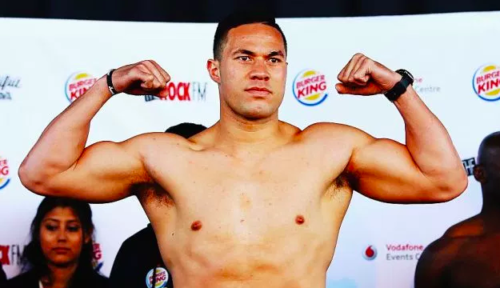 Joseph Parker’s trainer Kevin Barry has revealed that the New Zealand boxer has been asked not to shake hands with anybody until his upcoming unification clash with Britain’s Anthony Joshua. Speaking to Stuff.co.nz, Barry revealed that handshakes have been replaced with knuckle-bumps so as to avoid a possible germ contact. “We’re wrapping him up in cotton wool, making him wear gloves, not letting him shake hands with people,” said Barry, a silver medallist at 1984 Olympics (he never turned professional though). “He’s doing the knuckles with everyone. I don’t want any germs or bugs being passed around,” he added. That’s not the only thing the trainer wants Parker to steer clear of as he’s also striving to keep the media away. “Every single day people are reaching out but we have worked the media very hard the last two months, over and beyond,” Barry said of media promotions. Parker, the WBO heavyweight champ, will trade punches with IFB, IBO and WBA super holder Joshua in Cardiff come March 31.
Who you guys got winning?